The education of young adults, especially underprivileged and abandoned youth has been the focus of the Balkan Kids Foundation from Varna, Bulgaria for many years. 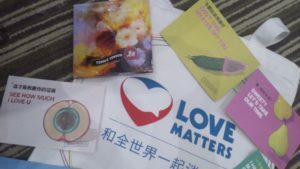 In the Lingnan Partner Community Centre they have found an organization specializing in sexual education of the same target group. This exchange focuses on new innovative outreach strategies in youth education. The bilateral exchange took place in Guangzhou and Varna respectively between July and November 2016. Its aim was to create closer bonds between BalkanKids Foundation, Varna and Lingnan Partners, Guangzhou in the field of sexual education, youth work opportunities and volunteering for disadvantaged young people. The project was greatly successful due to the friendly professional link between Antoaneta and Zhilu and resulted in 15 trained peer-to-peer high school educators, lots of youth work on field, enhanced understanding of China and Europe and most importantly ideas for future projects. The Twinning has also resulted in a Follow-Up project on the Forum Theatre concept as a tool for sexual education in 2017. Getting acquainted with the various health education and youth involvement structures in the Guangzhou region. Sexual education among disadvantaged and foster care children. We also attempted to educate them on sexual issues using the methodology of the Guangdong Peer-to-Peer Education model from China. High school peer-to-peer educator training on topics of sexual minorities, love, sexual behavior and decision-making, sexual harassment, prevention of STDs and AIDS, contraception and abortion. Lingnan Partner Community Support Centre with its five full-time, nine part-time employees and 37 volunteers is China’s biggest NGO working mainly on sexual health services and education in South China. The organisation was founded in 2007 and works closely together with Guangdong Provincial Department of Education, Guangdong Family Planning Association and other institutions which enables them to reach China’s youth with their educational programs. The Centre holds many seminars during which they teach young people about sexually transmitted diseases like HIV and health risk prevention. The BalkanKids Foundation from Varna, Bulgaria was founded in 2004. Their work is focused on young people from disadvantaged economic backgrounds, orphanages and those trying to overcome addictions. The foundation’s aim is the prevention of risky behaviour in youth by developing programs for inclusion and social leadership. They manage foster homes, day care centres and other social institutions. The organisation teaches through non-formal educational methods, for instance, by incorporating sports and music. BalkanKids also work on promoting of civic activity and intercultural tolerance through various campaigns, events and media.